With the goal of enabling learners of the financial statements generated, to understand and interpret, in order to better manage their funds. These users are: Investors, Management, Suppliers, Customers, governments, employees. 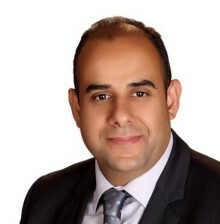 Emad is an IFRS expert and corporate trainer with over 18 years of professional experience (industry and training). He has trained hundreds of professionals during the course of his career including programmes on IFRSs (for banks, insurance and telecommunication companies), financial reporting, budgeting and financial analysis, serving a wide spectrum of both public and private sector entities in the Middle East. Emad has a strong work ethic and a passion for empowering the workforce through education and training. He holds a US CPA license and other professional certifications.